We are rescheduling our Annual Meeting, so please Save the Date for Thursday, February 28th. More details to follow!! 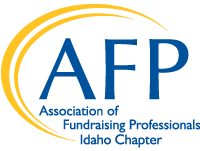 This year, we will discuss the benefits of your AFP membership, our future education sessions, our new social media outlets and lots of networking. Thank you for your membership. We look forward to an amazing year.